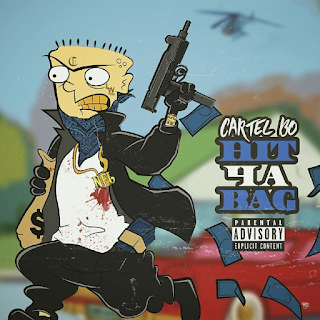 Houston, TX; DJ Jaybone Presents “Hit 4 A Bagg” the breakthrough mixtape by NFL Cartel Bo, which follows in the footsteps of the street banger “Location". NFL Cartel Bo's “Hit 4 A Bagg” comes through highly anticipated, emerging as 1 of Houston’s newest and hottest artists. “Hit 4 A Bagg” features Maxo Kream, Sauce Walka, Rizzo, Beatking, and YBNAlmighty; just to name a few. Press Play and Support, as we all know DJ Jaybone always brings Houston's best before the rest of the nation gets up on game.